It's hard to fathom the insane valuations of these medical-device maker, online food-delivery service, and pipeline stocks. While stock valuations are often more art than science, it is easy to spot the outliers. That goes both ways, with some stocks trading at nosebleed values while others are ridiculously cheap. This is certainly the case with these three stocks, which run the gamut from insanely expensive to surprisingly cheap: Dexcom (NASDAQ: DXCM), GrubHub (NYSE: GRUB), and Williams Partners (NYSE: WPZ). Brian Feroldi: Dexcom is a medical-device maker that I've long admired. The company makes an innovative continuous-glucose-monitoring system that allows people with diabetes to track their blood sugar levels in real time, making it far easier for them to keep themselves in a healthy range. The diabetes community has embraced Dexcom's device with open arms since it was launched in 2006, allowing the company's top line to grow rapidly. In turn, long-term investors have made out like bandits. DXCM Revenue (TTM) data by YCharts. While Dexcom is a stock that I've had on my radar for some time, the company's nosebleed valuation has always kept me on the sidelines. Even today I can't help but feel that shares are far too richly priced. Right now shares are trading for more than 14 times sales, and that's after dropping nearly 20% from their recent high. Granted, sales have grown so quickly over the last few years that you could easily argue that the company has earned its premium valuation. Next year analysts are projecting that sales will grow by another 40%, so the prosperity is expected to continue. While I'm hopeful that the company can maintain its rapid growth rate, I do think that caution is warranted, given that Medtronic (NYSE:MDT) just got the green light from the FDA on the first artificial pancreas. If demand for Medtronic's device impacts DexCom's growth even slightly, then it is possible that shares could take a tumble. We won't know the answer to that question until Medtronic officially launches the product for sale next year. 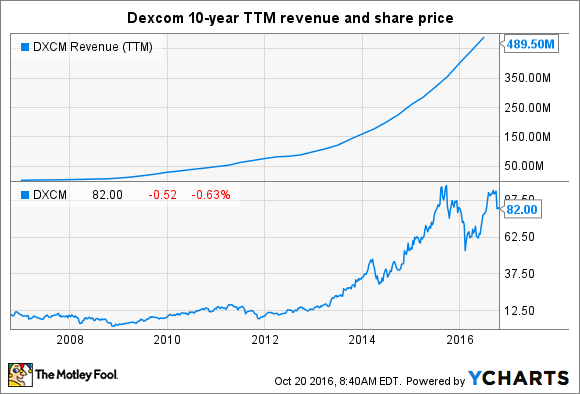 In the meantime, I think that Dexcom's crazy valuation provides ample reason to remain cautious. Evan Niu, CFA: Within the tech space, it's not too hard to find a company that seems to be asking a lot in terms of its valuation relative to its prospects. I believe that GrubHub is overvalued: The online food-delivery service currently trades at 8.9 times sales and 90.7 times earnings. While those valuation multiples aren't as high as those of other tech companies that deliver online services, they still suggest that investors are baking in hefty growth expectations. 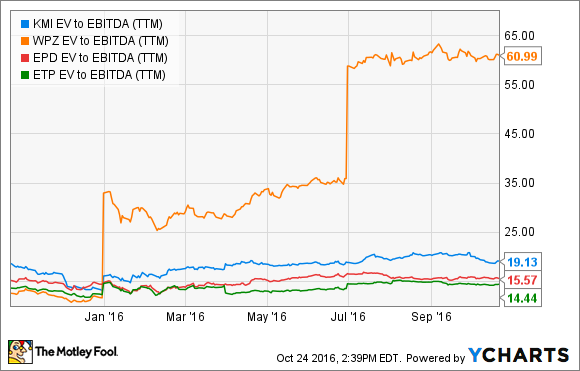 GrubHub's trailing twelve-month sales growth over the past year has been 34% -- solid but perhaps undeserving of such optimism. None of this is to say that the business is crumbling. Active diners in the second quarter rose 24% to 7.35 million, which helped gross food sales jump 29% to $733 million. Orders have hit all-time highs despite seasonal headwinds. My problem with GrubHub is the lack of a competitive advantage or differentiator. Sure, the company's app and service are easy to use and make ordering deliveries much more convenient, but an app is not an advantage; anyone can build an intuitive app. Merchants pay more to enjoy higher rankings in search results, but rivals can also potentially undercut GrubHub with lower fees. The current valuation prices in a much more resilient business that can withstand the test of time. Keep in mind that shares have traded as high as $48 and as low as $18 over the past two years, so volatility should be expected. Volatility and lofty valuation multiples go hand in hand, after all. Shares have recovered and are marching back toward highs, but investors will want to be on the lookout ahead of third-quarter earnings, which are expected on Oct. 26. When expectations are running high, so is the risk of disappointment. KMI EV to EBITDA (TTM) data by YCharts. However, that seemingly expensive valuation is largely the result of recording an impairment charge associated with its Canadian operations, which it recently sold. Adjusting for that charge, Williams Partners expects to generate $4.3 billion in EBITDA (earnings before interest, taxes, depreciation and amortization) this year. Given its approximately $44 billion enterprise value (EV), this implies a valuation of slightly more than 10 times EBITDA, which is well below its pipeline rivals. Further, Williams Partners has several fee-based expansion projects currently under construction that should boost its annual EBITDA by $630 million next year alone, pushing it up to a run rate of $5 billion. Those earnings imply a forward valuation of just 8.8 times EV-to-EBITDA. That's crazy cheap compared to its peers, and one reason why Williams Partners' parent company is investing billions to increase its stake.